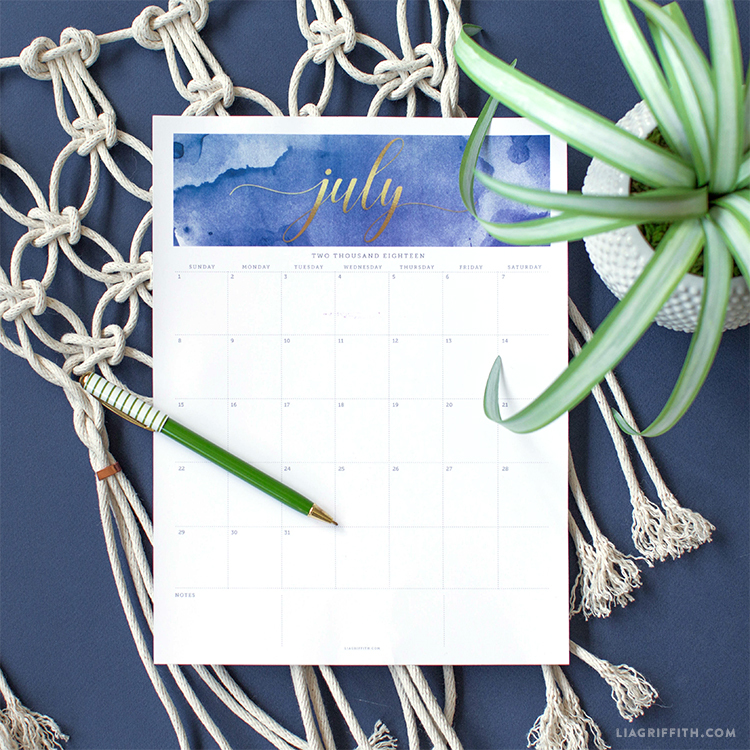 Craft Strong This Summer With Our Free July 2018 Calendar! 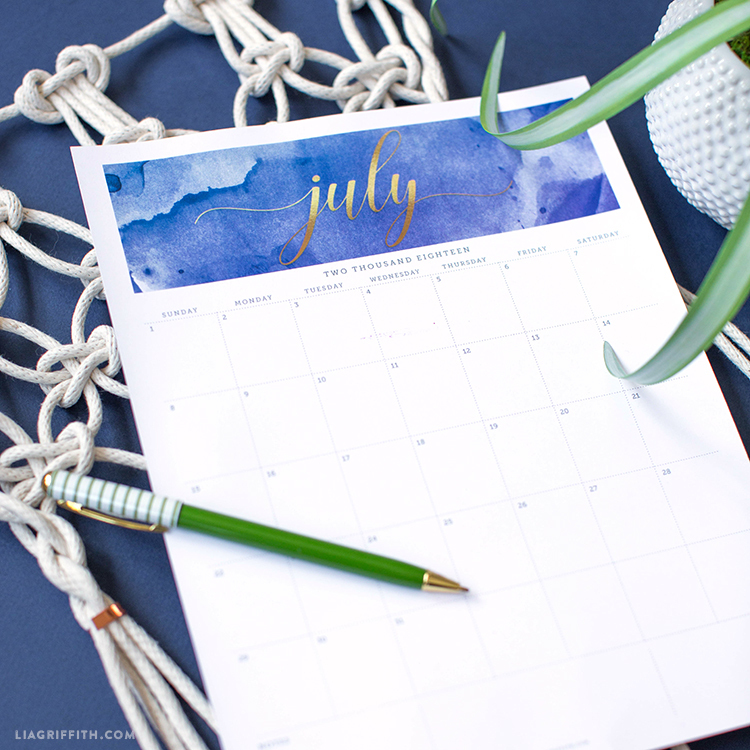 Keep your crafty 2018 going strong this summer with our FREE printable July 2018 calendar. It features a gorgeous gold script font and an indigo watercolor wash. This calendar page is as much an homage to summer creativity as it is a schedule keeper. As we did all throughout 2017, expect a free new calendar printable for the start of each coming month. Alternatively, download the full calendar pages as a set here. To access your calendar, download the PDF below and print. We recommend printing onto an 8.5″ x 11″ white cardstock for best results, but you can also print onto regular copy paper if you desire something a bit more lightweight. Just as in previous years, our printable July 2018 calendar is completely editable using the free font Sagona. Before you print, make sure to add in any important events or reminders. Also, add/delete any holidays that do/don’t apply to you (shout out to our international friends). This calendar is such a wonderful way to work your way through the year. Keep scheduling strong this summer! We are here to help you explore your creativity with daily inspiration, downloadable cut files and printable templates that make your craft life easier. We believe in the power of creativity to nurture the soul and to empower us. Our designs are created with simplicity in mind and we always strive to provide you with the highest quality DIYs. Share what you’ve been up to with the LGM community by using #MadeWithLia — your creativity is our biggest inspiration!